You spent a lot of money on your Land Rover, so it deserves to be in the best condition. That’s why it’s so tempting to take it into a body shop if it’s damaged. But what if we told you there’s a better solution? 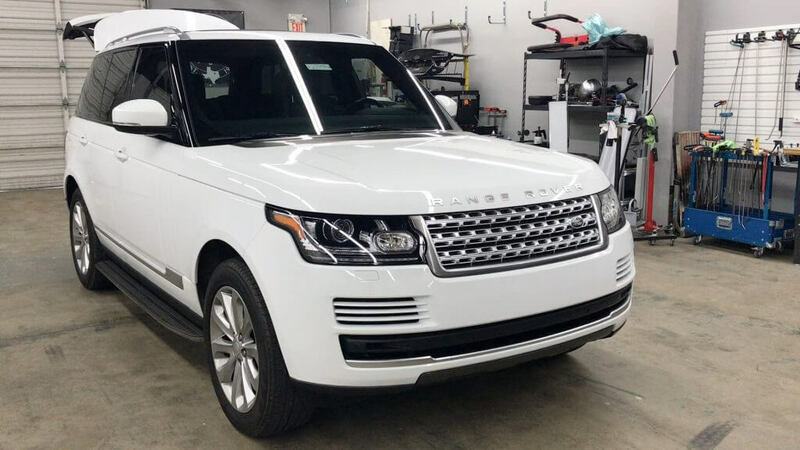 Though there’s no denying body shops provide excellent service, they’re simply not the right choice for your Land Rover if the problem is a dent, ding, or bend. The smart solution is paintless dent removal. Here at EZ Dent, located in Athens, Georgia, we offer the best Land Rover dent repair and removal. Why Choose Paintless Dent Removal? Simply put, paintless dent removal is more affordable & more efficient than taking your car into a body shop. It also saves you a lot of time and effort in the process. We focus exclusively on paintless dent repair which allows us to repair damage without bonding agents, aftermarket paint, or ordered parts. We know our process and can pass firm estimates & scheduling to you. Paintless dent repair is a process that uses specially crafted tools to fix dents, dings, and bends in your car without expensive work. The tools enable us to bend the damaged panel of your car with precise movements. These movements allow us to move the panel back to its original shape and position. Paintless dent repair is also extremely delicate. There will be no further damage to your vehicle, or to its paint job, during the process. If your Land Rover has recently received a dent, ding, or bump, we’re here to help. We proudly serve Athens, Atlanta, and all of North Georgia. *Disclaimer – EZ Dent is not affiliated with Land Rover or authorized Land Rover dealerships. Contact us today for a free quote for dent repair and removal.